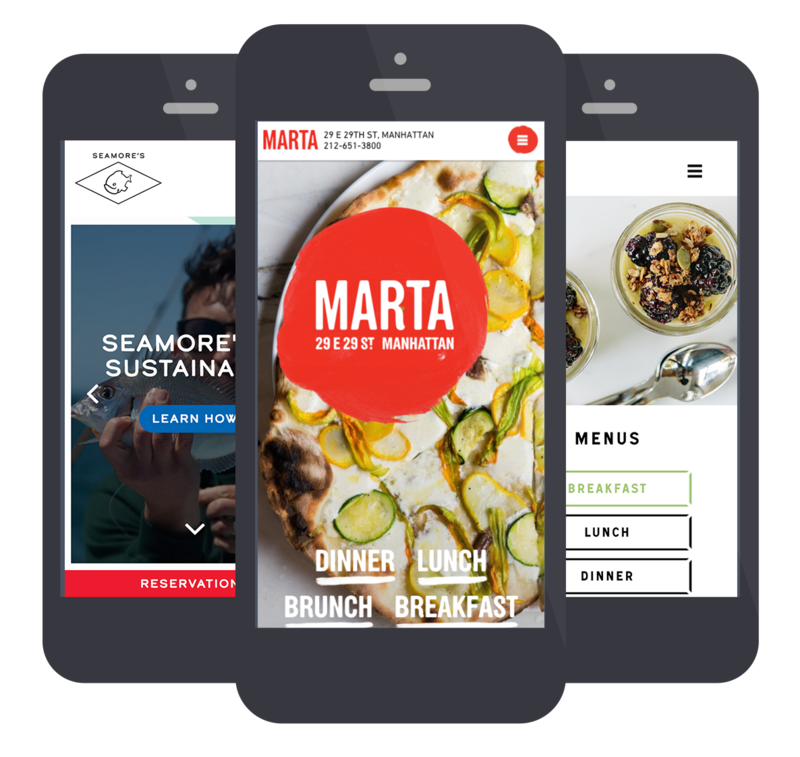 BentoBox's mobile-first designs scale beautifully to all devices and all screen sizes, making sure your guests get the best possible experience regardless of how they choose to view it. BentoBox websites are truly responsive—we don't create a separate experience for mobile. This means your search results are better because Google prioritizes responsive sites, and it also means that you only need to update your website once. BentoBox gives the mobile experience your guests want. Every phone number is click to call so your guests don't have to retype a phone number. Every address opens right into their maps app when it's clicked. Because our websites are responsive, they're exactly the same experience across all devices and share the same backend. When you make an update on your website, it's translated to every device. Our websites are quick to load because all images are optimized for the web and mobile devices. We avoid clunky PDF menus and flash animations that lead to slow load times, or sometimes don't load at all.